He answered her wordlessly, his tongue going into her mouth, fingers splaying and tightening against her scalp as he pulled her to him. You know I love the West, which is why I'm here. My love began very early with my dad telling me how his family came to Texas after the Civil War and some of the events that followed. Fascinating. Those Johnson boys sure got into a lot of trouble--especially when they teamed up with the Hardemans and others! Then I discovered cowboys. Sigh. Love those cowboys and ranchers! I loved the movies, but read western comic books when I couldn't go to a movie theater. At least I was reading, right? The summer before I was eight, my family moved back to Texas from Southern California. I was soooo excited, because now I would see real cowboys. I was a dorky kid and in my mind, as soon as we crossed the state line into Texas, I'd be able to see cowboys everywhere. Not. We moved to a farming community where my dad managed a cotton gin. Cotton fields, not ranches and cowboys. Let me tell you, I was disappointed, but I was still certain cowboys rode just over the horizon. My love of the West continues. Most of my growing up years were in Lubbock, Texas, known as "The Hub of the Plains." Not a bad place to grow up, in spite of the sand storms. In my latest release, HOME, SWEET TEXAS HOME from The Wild Rose Press, the hero is a rancher. 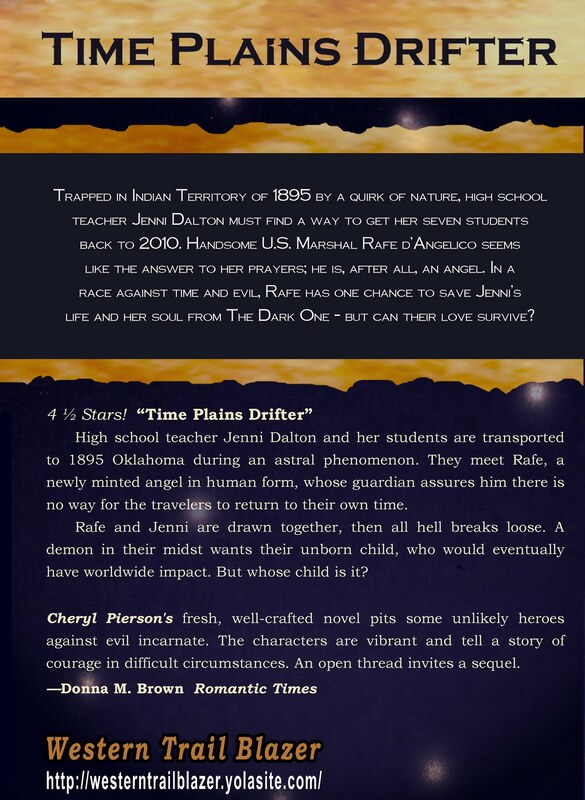 The book is set in and near Lubbock. (Write what you know.) I hope readers will enjoy this book. This modern Cinderella story is a departure for me, in that it is a sweet contemporary romance rather than sensual. Courtney Madison grew up in Dallas and manages in a small bookstore near where a large chain has opened. To stave off closing the store, the owner has come out of retirement to replace Courtney and her assistant manager. Saving two salaries may keep the store going. Unfortunately, that means Courtney is out of a job at a time when the brother for whom she's guardian has found bad companions and begun skipping school. Add all that to the mound of debts she has from her late mother's illness and Courtney is desperate with a capitla D. Her fairy godmother--make that godfather--steps in with a legacy worth two million dollars! An elderly man she befriended while her mom was in the hospital, has left her his home in West Texas, along with other properties, on the condition she live there for a year. Wow! She can stop looking for a job, get her brother away from his punk friends, and pay off her mother's debts. How lucky can a girl be? But wait--there's a catch. Isn't there always? And Courtney learns that money may be the answer to some problems, but it creates new challenges. 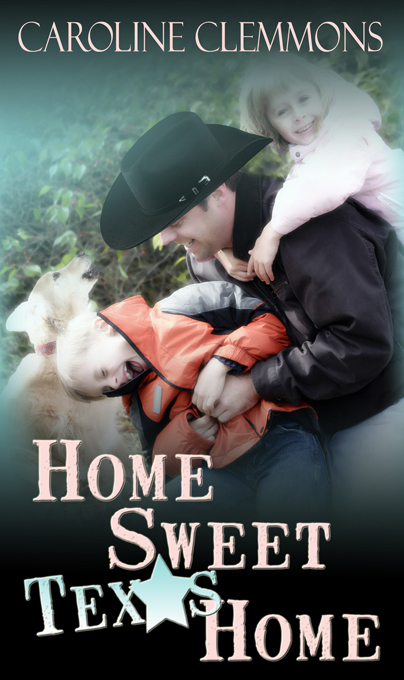 The hunky hero, Derek Corrigan, is a rancher who was raised by Courtney's benefactor. Derek's judgement regarding financial matters is amazing. With women, not so much. Right now, he wants a secure and loving home for his two children, Meg and Warren, and to prevent them learning the kind of woman their late mother was. Never works, does it? When Jimmy saw his sister in bed, he rushed over. "Sis, what happened? What’s with the towel and the ice packs?" He frowned at Derek. "What’s going on?" Derek figured the bizarre situation defied description. He patted Jimmy on the shoulder. "Don’t worry, she’s okay now. We were at the cemetery putting flowers on Sam’s and Maggie’s graves and your sister got trapped in the bathroom." Jimmy shook his head. "I don’t understand. How could that hurt her?" Courtney sighed. "The knob came off in my hand and I couldn’t open the door. So, I climbed out the window." Derek held out his hands to indicate the small rectangle. "A small, high window." Jimmy looked from his sister to Derek. "I still don’t understand what happened." Courtney snapped, "I got stuck, okay?" Now that he knew her to be okay, the week’s tension suddenly snapped Derek and he lost his perspective on the whole situation. He grimaced at Jimmy. "She, um…" He coughed to keep a straight face. "When she tried to go out the window, she got stuck with her head and one arm sticking outside and the rest of her inside." He stood like a bird with a broken wing to imitate Courtney’s position. A grin spread across his face in spite of all his efforts not to smile. Jimmy gaped at his sister. "Courtney? But she’s always so sensible. She’s never does anything stupid." He began to smile also. "Listen, if you two are so amused, go into the other room to discuss my apparently hilarious antics and leave me to suffer in peace." In spite of her strained muscles and injuries, she threw a box of tissues in their direction. "Go on, get out of here. Now." 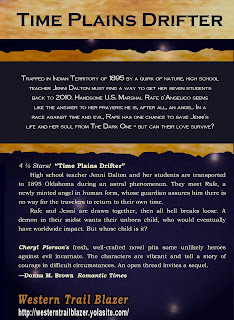 Thanks for letting me talk about my new release instead of a post about western history. Now, it's your turn. What sparked your love for the West? Looking for a HOT Summer Read? 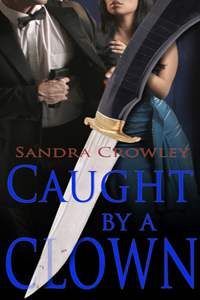 I'm Sandra Crowley, author of a spicy romantic suspense, CAUGHT BY A CLOWN. If you're looking for a great read to relax with, one that will carry you across the country and introduce you to settings you might not have encountered before, CAUGHT BY A CLOWN, is the book for you. Amazon readers have given it two 5-Star reviews, and it garnered three 4-Star reviews from Sizzling Hot Book Reviews, The Romance Reviews and The Romance Studio. Blurb: A spontaneous freelance journalist on a mission of mercy finds herself entangled with a methodical undercover FBI agent out to settle a score. His fidgeting hands and taut body mirrored her reaction to public exposure. Stacie relaxed. She would have signed in using a fake address and name if she’d come as a guest. He probably thought helping her would ease him into this new and daunting experience. Find out how far David carries Stacie's arrest and learn who's CAUGHT BY A CLOWN. I appreciate your consideration. Thank you and have a wonderful summer!!! As a writer, I’m usually leery of challenging myself, but there are times when it turns out to be fun. And I don’t merely mean making the leap from historical writing to contemporary and back again. I’m talking about moving outside of my comfort zone. To put it quite simply: my heroes have always been cowboys. *G* Well, cowboys, gunfighters, lawmen, bounty hunters—in other words, men who don’t have “purty” manners and are basically take-me-as-I-am kind of guys. And pairing them with a heroine who will at least pretend to be offended when he cusses, spits or smokes is a lot of fun. But lately my heroes have been moving in another direction, and I find myself writing about men who either need to fit in with polite society, or who already belong to it. And that’s what has led me (kicking and screaming!) out of my comfort zone into the cold, frightening land of the unknown, LOL. Sure I knew the basic customs of the era, but I’ve never written a character that had to—or wanted to-- adhere to them. Some I already knew and have had fun deliberately ignoring in past stories. Others were no-brainers (ex: it’s bad manners to pick one’s teeth at the table. LOL. I’ll bet even my most trail-weary cowboy knows that one!) But they were all fun and chock full of "what if's" for having one character or another break the rules. It was not considered appropriate for a young man to approach a young lady. Even if they had already met, he must still be introduced by a mutual friend a second time before he can speak to her freely. In any stage of courtship, the couple always walked apart - the only contact allowed was for him to offer her his hand over rough spots while walking. Women did not call on an unmarried gentleman at his home. Men could not be received into the home if a woman was there alone, a family member must be present at all times. When ascending a staircase with a lady, a gentleman is to go at her side or before her. 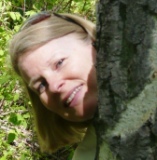 If you haven't met Linda Swift, now is your chance. I consider her one of the best "classic romance authors" in the business. She has a long history of publication when Kensington was her publisher. Now, she's discovered small presses and is enjoying a resurgence of creativity. Meet her in her own words. A four-year commemoration of the American Civil War Sesquicentennial has begun. And with an existing plethora of Civil War books, both fact and fiction, why should I feel compelled to write another one? Hasn't Margaret Mitchell said it all? Since reading Gone With The Wind, I have been fascinated with this period in our nation's history. The magnificent plantations, southern belles in their exquisite gowns, not to mention Rhett Butler, are the stuff dreams are made of. I was born in the border state of Kentucky. I attended university in South Alabama. And I lived for a few years in Chattanooga, Tennessee with its hallowed battlegrounds at Chickamauga Creek, Missionary Ridge, and Lookout Mountain. Swept up in the tragic history of this location, I wanted to tell a story of my own. Although the setting of the book is mainly Chattanooga, I have also included Oswego, New York and a family loyal to the Union. I usually dedicate my books to my husband but I have dedicated This Time Forever to three other people. First, my deceased mother, who loved all things related to the "old South." Then to my late cousin, a professional educator, who was terribly worried about my "wasted mind" when I began writing romance books. I think the research required for this story proves that my brain cells are still intact. And last, to a dear friend's son, a Chattanooga newspaper photographer who died from a staph infection following elective surgery. It saddens me to know that these three who would have enjoyed this story best of all I've written, will not have that opportunity. My dedication is: "I wish you could have read this book." And now I extend the invitation to you. If you only read one new book about the Civil War this year, I hope you will read this one. I will take you behind the battles into the hearts of both Yankees and Rebels as they live and die for the cause they believe in. 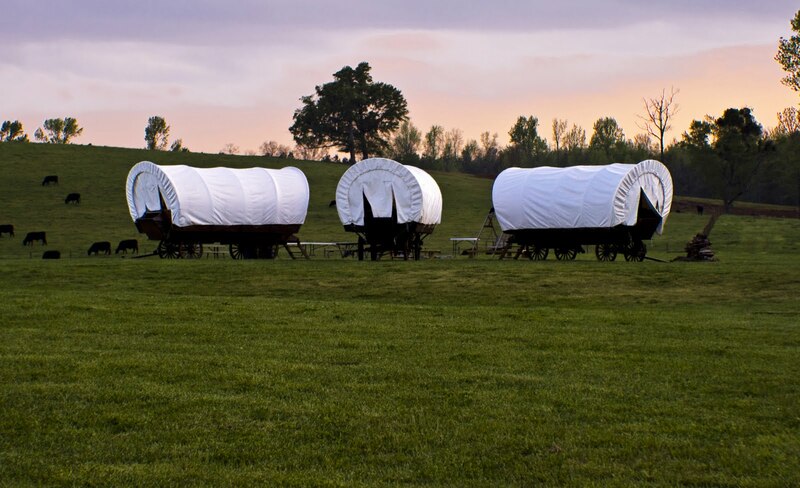 The Civil War brought casualties beyond the bloody battlefields as North fought South. Philip Burke, against his family's wishes, volunteered to defend the Union and became a prisoner of war who bartered his medical expertise to remain out of prison. 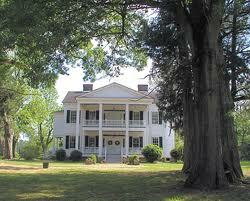 When the Union Army invaded Tennessee, Clarissa Wakefield's antebellum mansion became a Confederate hospital. Philip was placed in charge and against propriety she volunteered to stay on and help nurse the wounded. Clarissa's husband was a Confederate soldier and Philip's fiancée waited for him in Oswego but the fire between them soon raged out of control. As the opposing armies fought for possession of Chattanooga, Clarissa and Philip faced their own battle. Caught in the passions of war and love, with hurt inevitable either way, would they be faithful to their vows or listen to their hearts? Tip-toeing past the snoring guard, Clarissa stepped onto the moonlit veranda and made her way toward a wicker chair facing the river. It was only as she sat down that she saw the glow of Philip Burke’s pipe. “I scarcely think so. This is your home after all, Mrs. Wakefield.” He settled back in his chair and took another puff. “When do you think it will begin?” Clarissa asked with dread. uppermost in his mind all these months. stomach and spread to her breasts and thighs. She watched his slender hand as he knocked the ashes from his pipe and imagined the hand touching her. He stood at the same time she did and they were only inches apart. Clarissa felt his warm breath on her face and dared not look up. head and met his eyes. In a dream-like motion they closed the space between them as their mouths slowly met and with a long-repressed hunger they sated themselves. Their bodies melded, soft against hard, silk against wool, and a fire blazed between them that blotted out all else except their awareness of each other. He brought his hand to the back of her head and wove his slender fingers into her silken tresses; the kiss deepened as his tongue became a licking flame in her mouth. When the kiss finally ended, the flame licked the hollow of her throat and the rise of her breast as he pushed aside the fabric of her gown. Fire burned against her flesh in every place his tongue touched and she arched against him, eager to be consumed by it. “Yes, oh yes,” she whispered. Thank you, Linda. 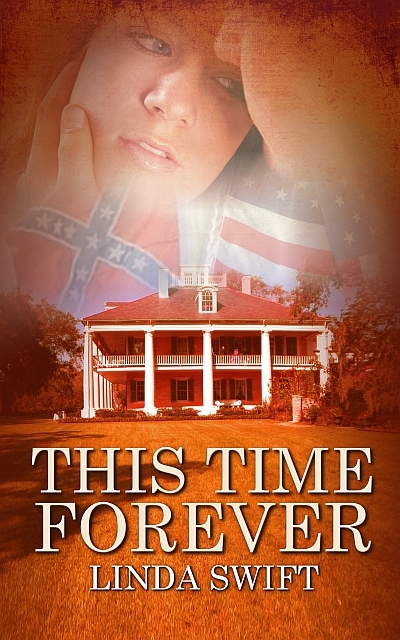 Guests—please leave a message to be eligible to WIN a pdf copy of THIS TIME FOREVER. Jeanmarie Hamilton is unable to post today, so I'm reposting an article I wrote for the Seduced By History Blog. Let me share the legend of a woman about whom I’ve recently learned. Sally Newman, the woman later called "Mustang Jane" by her vaqueros, was born in Illinois in 1817 to Rachel (nee Rabb) and Joseph Newman. Her parents followed her maternal grandparents through several states to eventually settle in southeastern Texas and become part of Stephen F. Austin’s "Old Three Hundred." (If you’re not familiar with Texas history, Stephen F. Austin’s 300 families who were early settlers is a big deal there.) As a pioneer wife, Mrs. Newman was no stranger to conflict. On at least two occasions, she thwarted attacks from Comanche or Apache with quick and decisive action while young Sally watched. Sally’s luck was no better with her second, third, fourth and fifth husbands. Through her third through fifth marriage, she continued to go by the last name of her second husband, Scull. It was while she was married to George Scull (sometimes spelled Skull) that she developed her love for and interest in horsetrading. While she was losing husbands (with some speculation that she might have assisted a couple of them in departing this life), Sally was gaining a reputation for marksmanship. Whether in skirts or pants, she always wore two pistols belted to her waist and usually wore a bonnet. She was a dead shot with both pistol and rifle, in either hand. No known photograph exists of her, but accounts say she was a tiny woman with steel blue eyes and weighed 125 pounds at most. Her rough language was notorious, and she spoke Tex-Mex as well as if it were her native tongue. When she wasn’t traveling alone, she rose in the company of several Mexican vaqueros. She roamed the wide territory between the Sabine River and the Rio Grande, making her headquarters at a small settlement called Banquette, about twenty miles west of Corpus Christi. The vaqueros who worked for her and other Mexicans who knew her called her "Juana Mestena," Mustang Jane. She could outshoot any of her ranch hands, roped and rose with the best of them, and could drive a herd better than any of the wranglers in her employ. During the Civil War, Sally’s knowledge of the southern Texas backcountry served the Confederacy. Union forces blockaded Texas ports, stopping all shipments from England. The United States could not block ports south of the border, so Mexico’s ports were open. 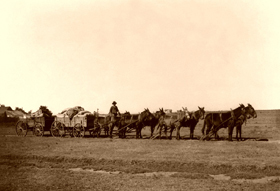 Sally sold her stock of horses, bought wagons, and turned her vaqueros into cotton haulers. Her wagons became a common sight on the roads from San Antonio to Matamoros on what became known as the Cotton Road. Cotton was traded in Matamoros for guns, ammunition, medicines, coffee, shoes, clothing and other goods vital to the Confederacy and supplies needed by inland Texas settlements. When the war ended in 1865, Sally sold her wagons and resumed the horse business. No one knows what happened to Sally Scull. Texas mothers used to cajole their children to behave or "Old Sally Skull will get you." 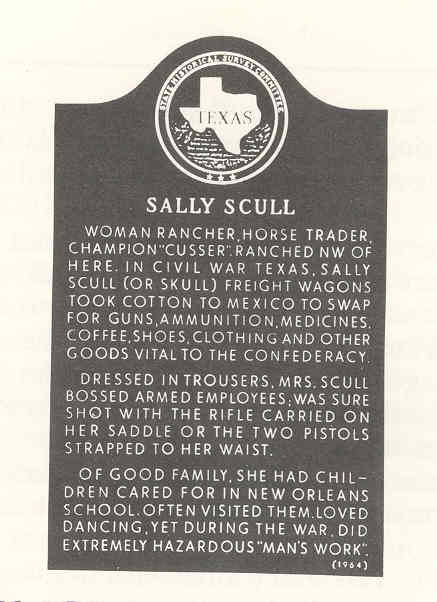 Not a nice remembrance, but Sally Scull had defied all expectations of womanhood for her era or any other. She walked tall in a world of strong men and made anyone in her path step aside. Historian J. Frank Dobie wrote, "Sally Skull belonged to the days of the Texas Republic and afterward. She was notorious for her husbands, her horse trading, freighting, and roughness." Dressed in trousers, Mrs. Scull bossed armed employees; was sure shot with the rifle carried on her saddle or the two pistols strapped to her waist. Of good family, she had children cared for in New Orleans School. Often visited them. Loved dancing. Yet during the war, did extremely hazardous "Man's Work". This month the second book in my Rodeo Rebels series for Harlequin American Romance hits store shelves. The Bull Rider's Secret takes place in Bandera, Texas. Known in the Hill Country as The Cowboy Capitol of the World, Bandera is a unique town with lots of western flavor and a tradition of welcoming the Biker community. I love adding a bit of reality to my stories and that's exactly what I did in The Bull Rider's Secret when my hero Brody enters the Wild Hog Explosion contest at Mansfield Park in Bandera, Texas. This real life event features a wild hog catch. Teams of two enter a ring to try and catch a real Texas wild hog and then put the hog into a burlap sack. I haven't had the fortune to attend this event in person but one day I hope to return to Bandera to watch these crazy hog-catching people! Home, sweet home? Not for this cowboy. Brody Murphy lives one day—one ride—at a time. No home, no responsibility, no one depending on him. As long as the bull rider keeps moving, he can keep it that way. But when Brody meets Ricky Sovo and his mother, rancher Katarina, he finds himself lingering in one place for the first time in years. Kat’s unlike any woman he’s ever known—feisty, stubborn and determined to make it on her own. 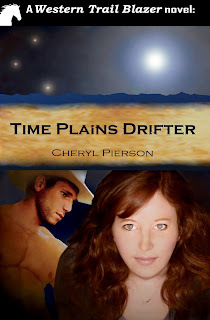 But that independent streak has gotten her in trouble with a couple of local ranch hands. She needs Brody's help. Only helping means sticking around, and that’s not something Brody can do. For Kat makes him want more from life, more that he doesn’t deserve. She may be his only chance at accepting his past... but he's not sure he can ever stop running from it. The thunder of Harleys roaring down Main Street threatened to deafen Brody Murphy as he used the pay phone outside the Silver Dollar Saloon in Bandera, Texas. "Ma'am." Brody tipped his hat to a wannabe cowgirl who sashayed by, leaving a scented cloud of expensive perfume in her wake. "What's that God-awful noise?" Brody's buddy, Drew Rawlins, shouted through the phone connection. "The Hell's Angels are in town." "Bandera? You were supposed to be here—" meaning Drew's ranch, Dry Creek Acres. "—three hours ago." Brody ignored his friend's rant as he studied his choices for lunch across the street—Southern Comfort Bakery, Mi Pueblo, Busbee's BBQ and Bandera Saloon & Grill. "Hey!" Drew snagged Brody's attention. "What are you doing in Bandera?" Hell if Brody knew. He scanned the area, willing the answer to pop up in front of him. His gaze landed on a flyer attached to the saloon's over-sized red door. "Think I'll enter the Wild Hog Explosion." Whatever the heck that was. Maybe. Brody was down to twenty bucks in his wallet and half a tank of gas. Speaking of fuel, Brody gagged on fumes as a second motorcycle gang drove past him. "I offered you a job," Drew said. 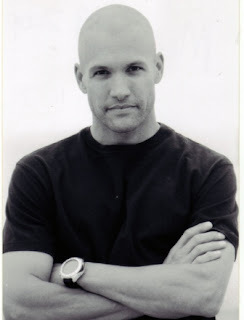 Turning his back to the busy road, Brody rested his arm atop the pay phone. This wasn't the first time Drew suggested Brody quit the rodeo circuit and work for him as a ranch hand. Brody had been a ranch hand most of his adult life—punching cows in Montana where he'd been born and raised. 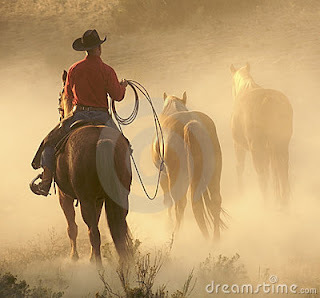 Hell, he loved—make that had loved—working cattle and horses, wide open spaces and the soul-searching loneliness of riding the proverbial range. Two years ago Brody had quit his job at the Black Stone Ranch and now he lived one day and one bull ride at a time. There was a part of Brody that yearned to hang up his bull rope. He was tired. Lonely. Downright lost. But working for Drew would be like walking around all day with a red-hot poker stuck in his eye. His buddy understood the demons chasing Brody. He was the only person Brody had confided in about his past. Even so, Brody didn't care to witness the former bronc rider's happiness. Drew had retired from rodeo this past December after he'd scratched at the National Finals Rodeo in Vegas. He'd given up a world title for love and a chance to be a father to a son he hadn't known existed until recently. Drew was happy. Brody was miserable. It would only be a matter of time before Brody's unhappiness ruined their friendship. If that wasn't enough to deter him from accepting a job at Dry Creek Acres, then taking charity from a friend was. Drew had offered the job, not because he needed help, but because he felt sorry for Brody. "Thanks, but I've got a ride coming up," Brody lied. "When are you gonna admit you aren't a bull rider?" Never. "I'll be in touch." "The job's yours anytime you want it." "Thanks." Brody hung up and eyed the advertisement on the saloon door. What the hell. He'd head to Mansfield Park and check out the exploding pigs. With this post, Marin Thomas begins a new phase on her life. She and her husband are moving across the country, with a new job for her husband, new home, and an empty nest. 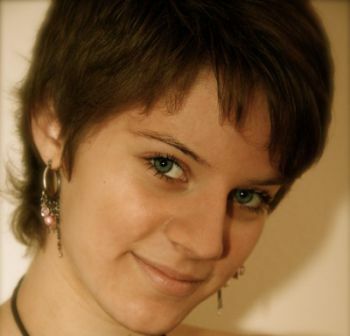 Because of the multitude of changes she faces in her life, Marin is leaving Sweethearts of the West. We hate like everything to see her depart, but understand that family always comes first. Marin, Happy Trails to you and your husband on this new chapter in your life! Wow. You’d think that the diaries of those who travelled West would be full of cooking trials and tribulations. But no. After choosing this subject, I searched through my many ‘wagon trail diary books’ and found very few references on cooking. In fact, several of the books didn’t even have ‘cooking’ in the index. However, I think I found enough references to make this blog worthwhile. 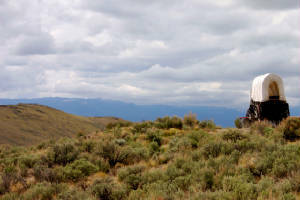 One of the many tasks women performed on the trail was cooking. 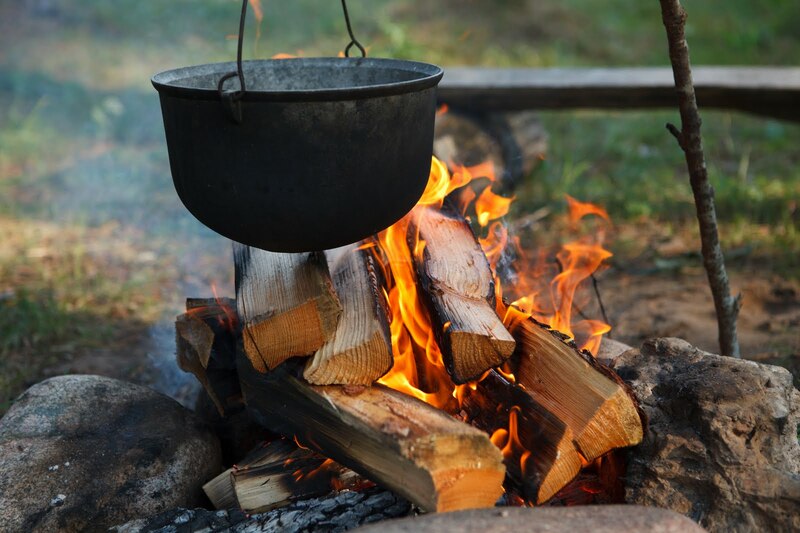 Though cooking and baking was second nature to most women (the highly born women didn’t always know how to cook, as they had hired help to do that job back East), cooking on an open flame was not something the women were familiar with. Even Keturah Belknap, who had never cooked on a stove, but rather a hearth, had to learn the ins and outs of cooking on a camp fire. I’ve camped out with my Girl Scout troops and we did a few campfire meals, so I know from experience how much work it is. I have to admire the women who did it day in and day out, rain or shine for five to six months at a time! Promo alert: Next month, I’m doing a month-long workshop PIONEERING WOMEN OF THE WEST on Hearts Through History’s Campus. Click HERE to find out the details and to register. WIN A FREE WORKSHOP - Just leave a comment and with a contact email and you will be eligible for the drawing. I'll draw for a winner on July 16th. All photos are copyrighted and cannot be used elsewhere without purchasing them from dreamstime.com. COOKIN' AND EATIN' IN THE "OLDEN DAYS"